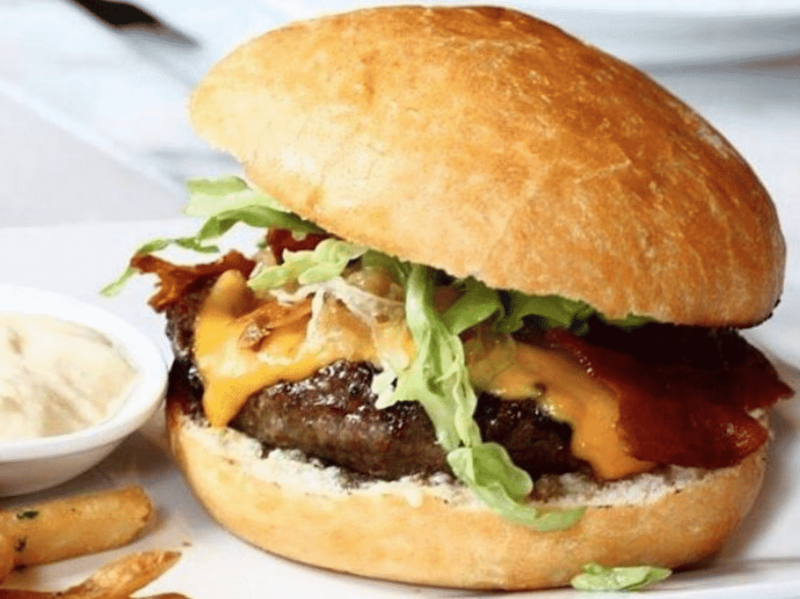 Nothing beats a good burger and it’s often one of the first things we reach for when arriving in a new city or country – because of both its reliability and its pure deliciousness. 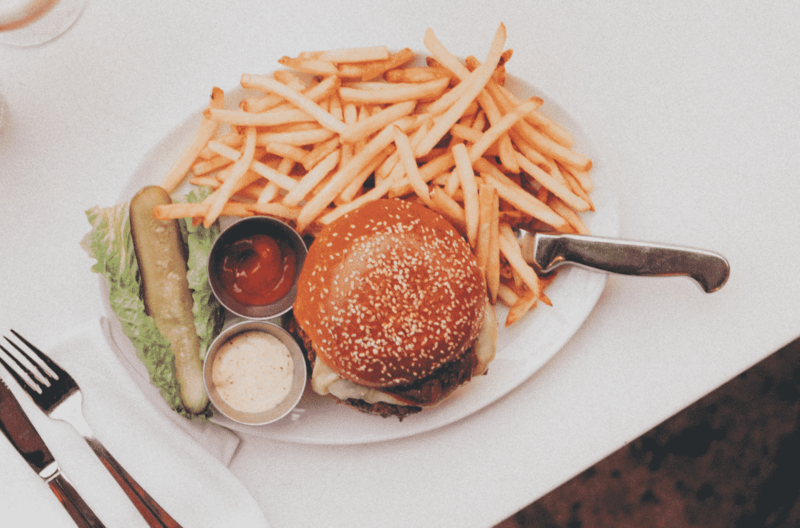 While California is famous for so many things – movies, great weather and its world class cities – one thing that it does particularly well is food. 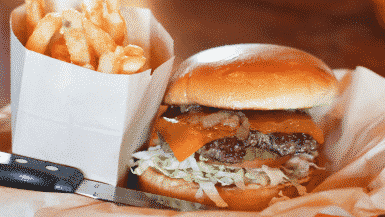 So, this great state excels at all sorts of cuisine, we wanted to focus on the humble burger. 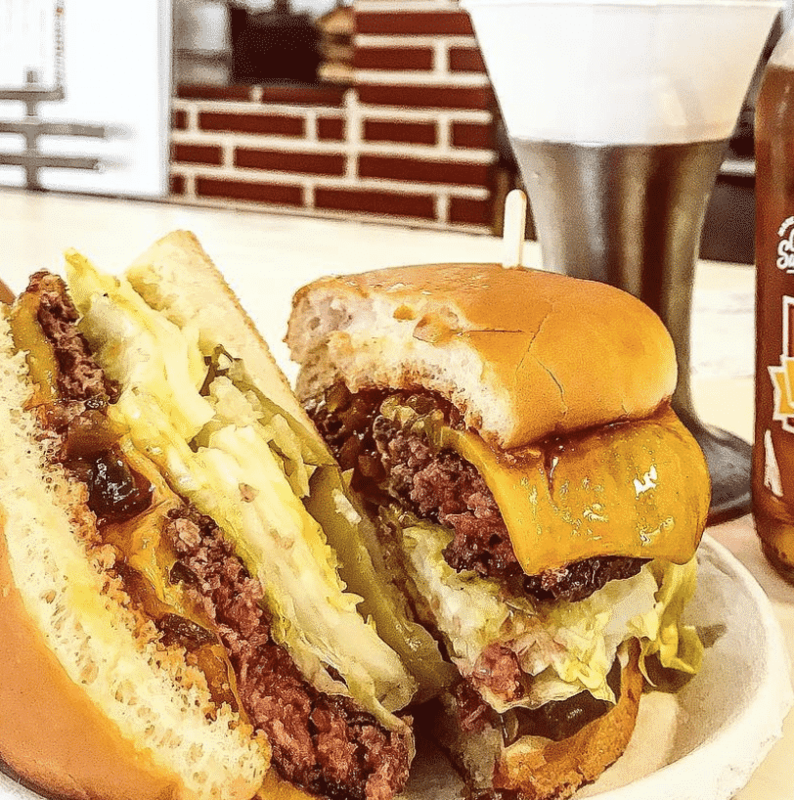 After releasing the 50 best burgers in America last week, Big 7 Travel is bringing you the full California list. 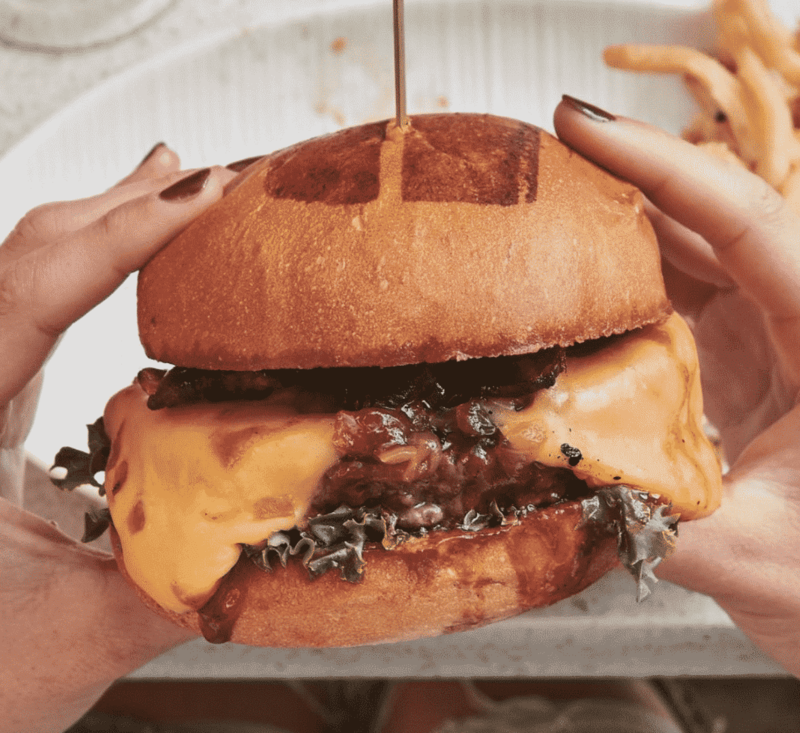 The final list is subjective – if we’ve missed out on any must-try burger places across California, please do let us know! BNSD’s fandom is intense, but oh-so deserved. 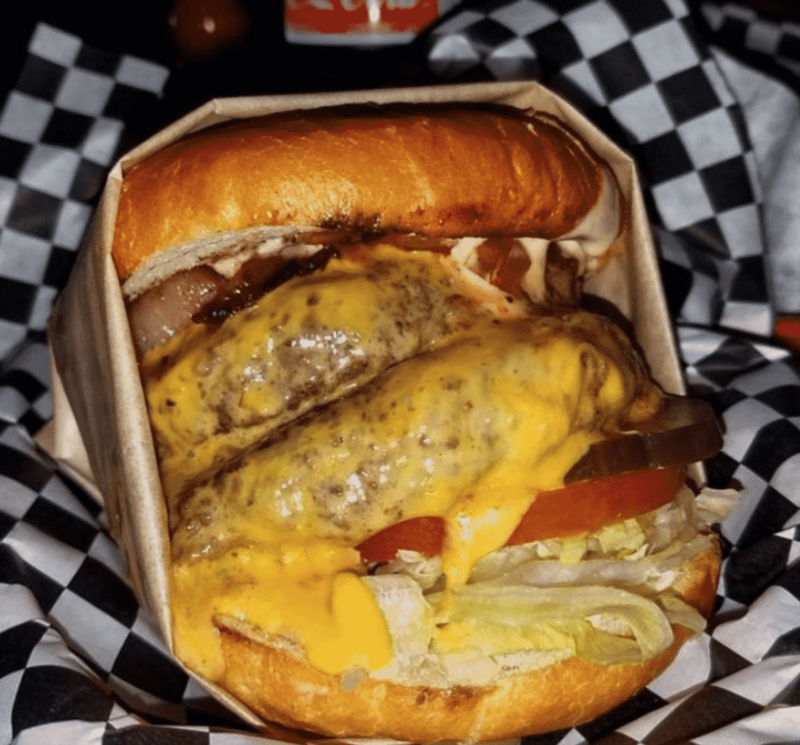 The legendary pop up recently opened up a permanent spot in Silver Lake where the long lines for these smashed beauties show no sign of slowing down. The top tip to remember? Always. Get. Two. When something is this good, one is never enough. Mish Mash started life as a pop up, operating in farmer’s markets and breweries in their early days and building a passionate group of followers who are still with them today. They say the menu is inspired by the coast line, by California’s agriculture, and by the array of lifestyles in San Diego. 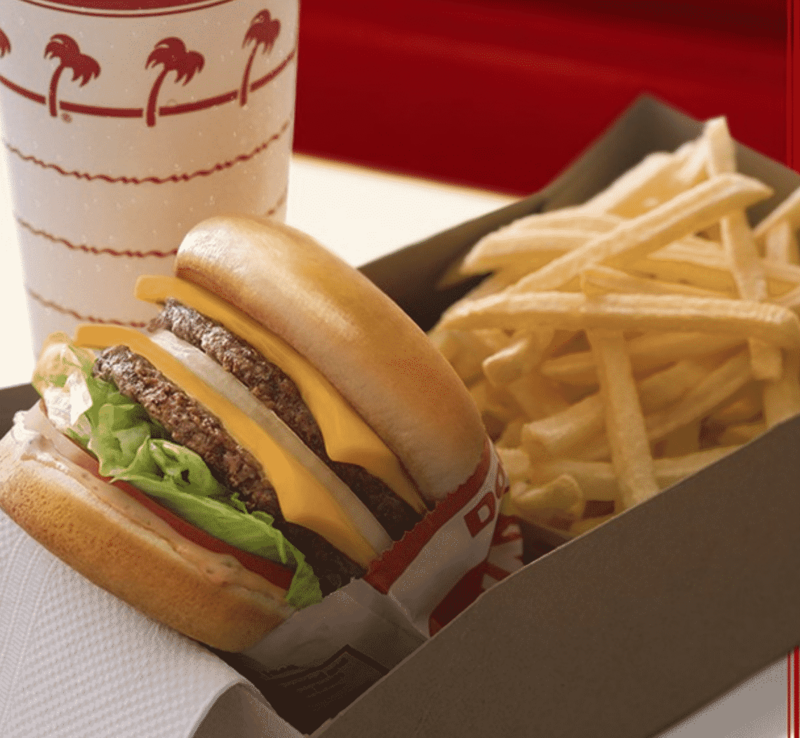 An essential CA foodie experience. 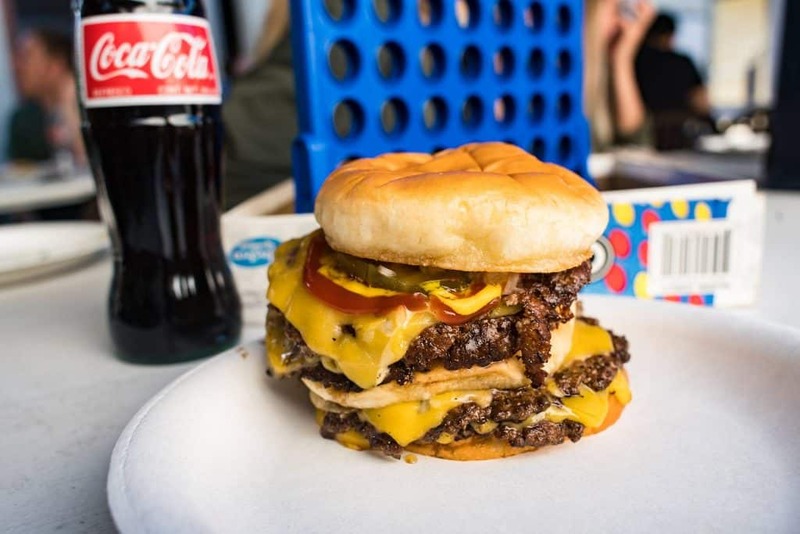 Flip.n.Shake was founded in 2014, and have been expanding since, as people discover not only their incredible burgers (try the double patty) but also their shakes which are fast gaining a reputation as some of the very best in the state. 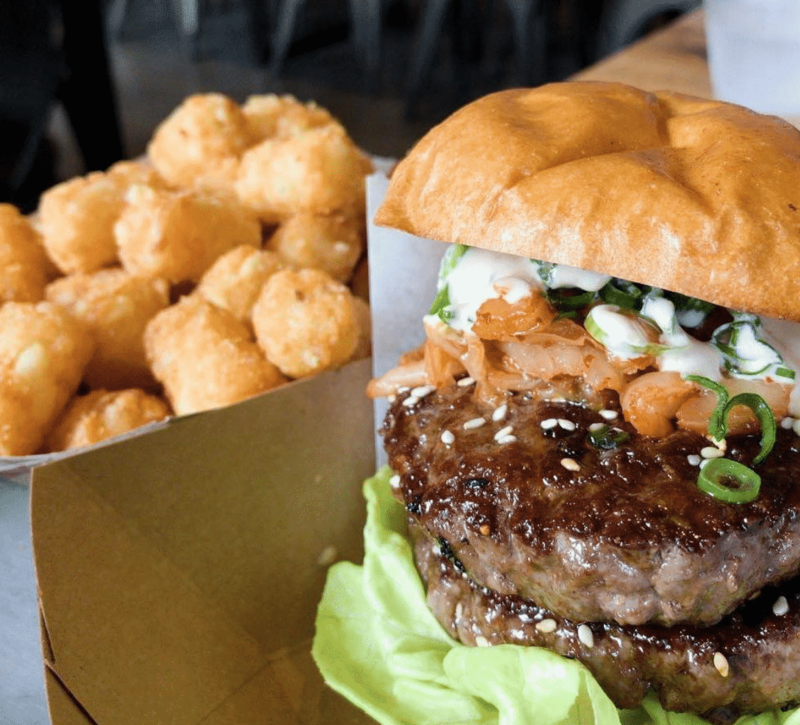 TrueBurger opened in 2010 by two local Bay Area cooks, Greg Eng and Jason Low. Their mission is to provide the community with a great product at a reasonable price. They use all natural, pasture raised beef (no hormones, no antibiotics!) that is ground daily and hand-formed into 5.0 oz. patties. 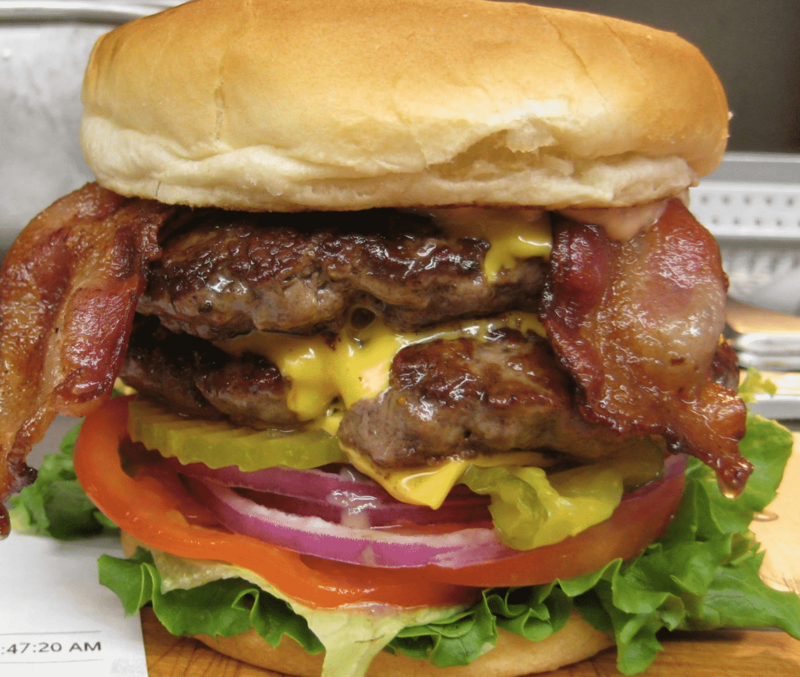 The real deal when it comes to burgers. Situated on a plot of land that was once a train station, Electric Owl’s décor is modelled after the look and feel of a bygone era, evoking train travel culture and dining car luxury. 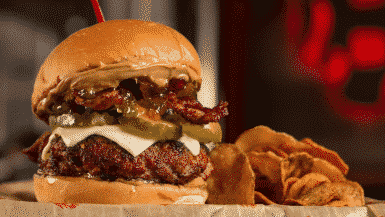 This is the place to come if you want an incredible burger while enjoying a view of Sunset blvd. and a backdrop of the Hollywood hills. 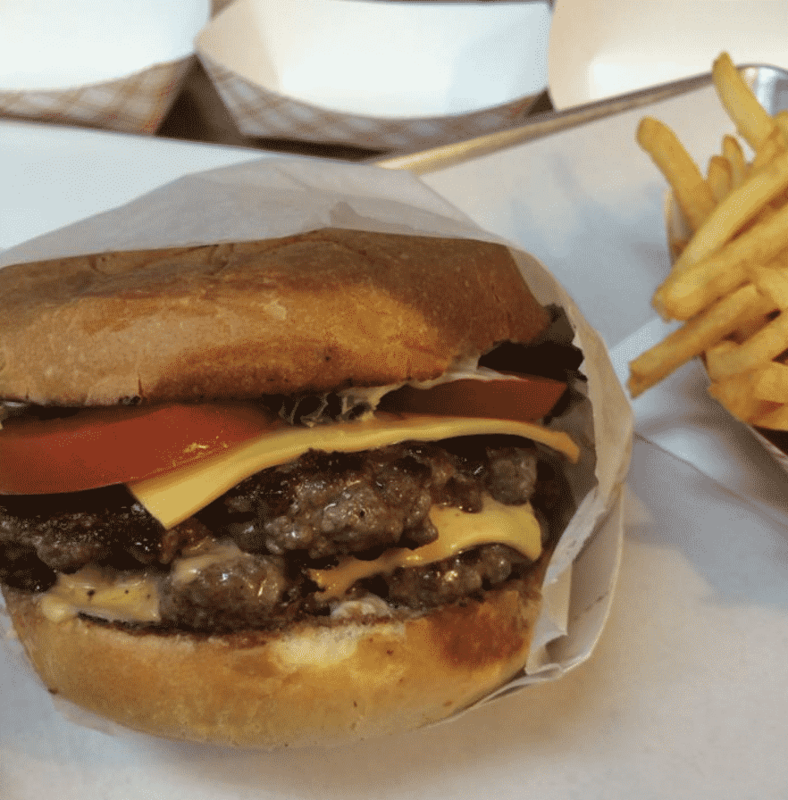 Their burgers are inventive, massive in size and bursting with flavour. This is where you should come to really push your taste buds and imagination to the limits. You’ll also want to you bring a serious appetite – they’re big. a two-story cocktail bar, restaurant, and event space located in San Francisco’s historic Tenderloin district, in the original Saratoga Hotel building built in 1908. 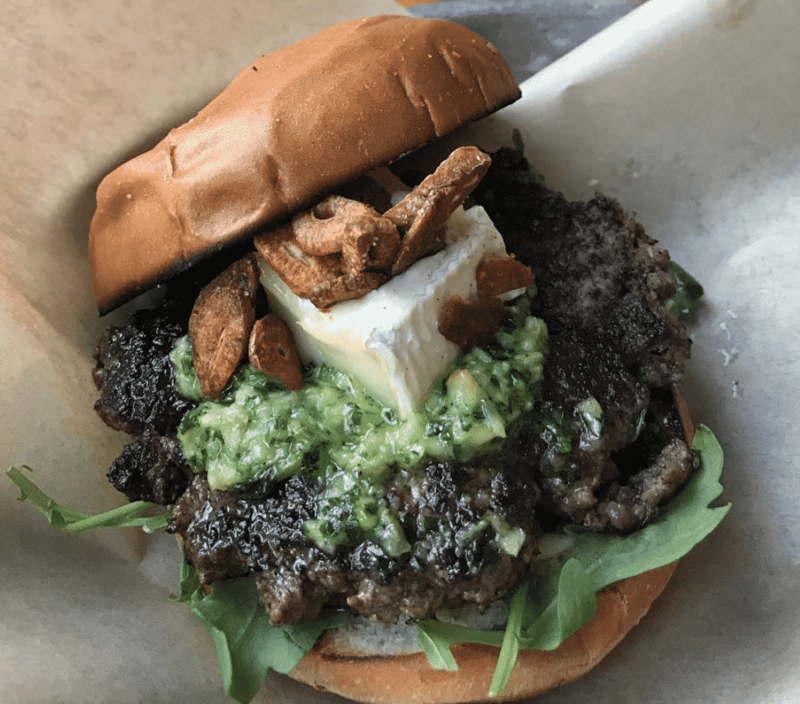 Their menu is full of delights, but the burger with Tallegio cheese stands head and shoulders above everything else, which is really saying something. This diner-meets-dive bar on 3rd street serves up really great Mexican food, quality beers and burgers to die for. What more could you ask for in life? Try the double if you have a serious appetite. Kali is a super-stylish yet unpretentious restaurant that’s all about superb Californian food. Case in point? 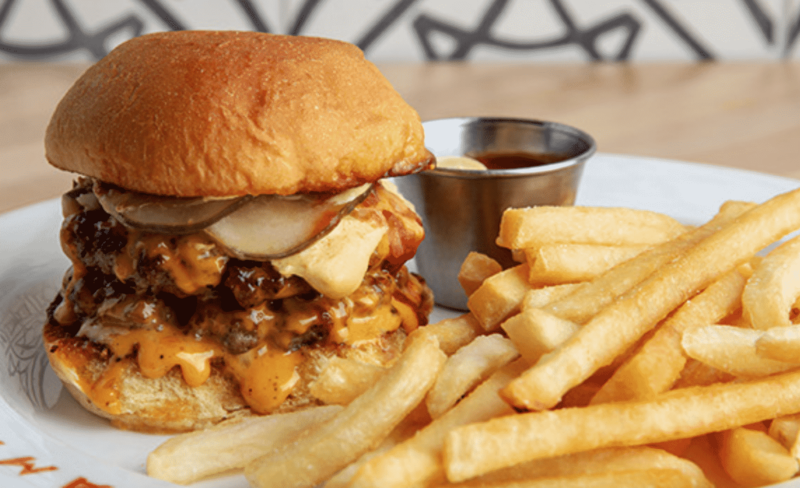 Their dry aged beef burger, that comes with fiscalini cheddar, carmelized onions and crispy fingerling potatoes. It’s only on the lunch menu, so don’t be late. 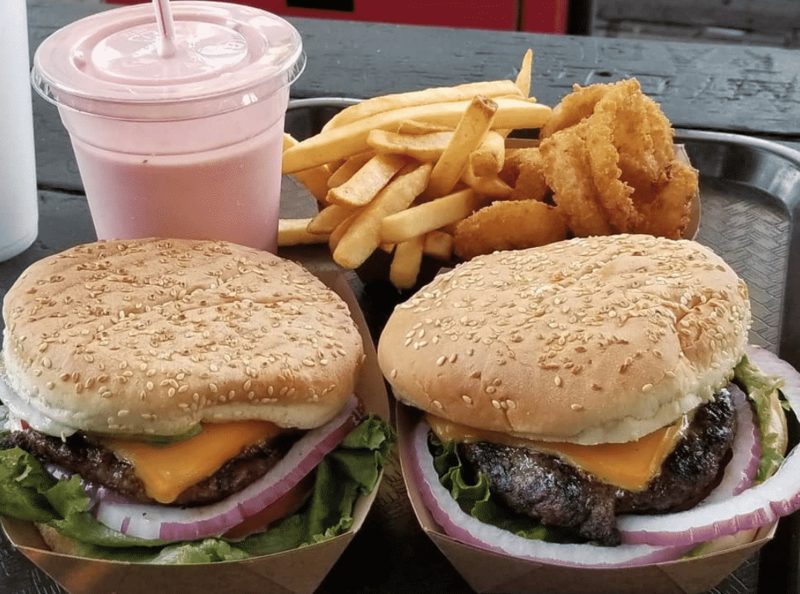 A brilliant local community restaurant that offers gourmet, handcrafted burgers, farm fresh salads, locally-brewed beers, Santa Barbara County wine, and ice cream in scoops, hand-spun shakes, and ice cream cookie sandwiches. 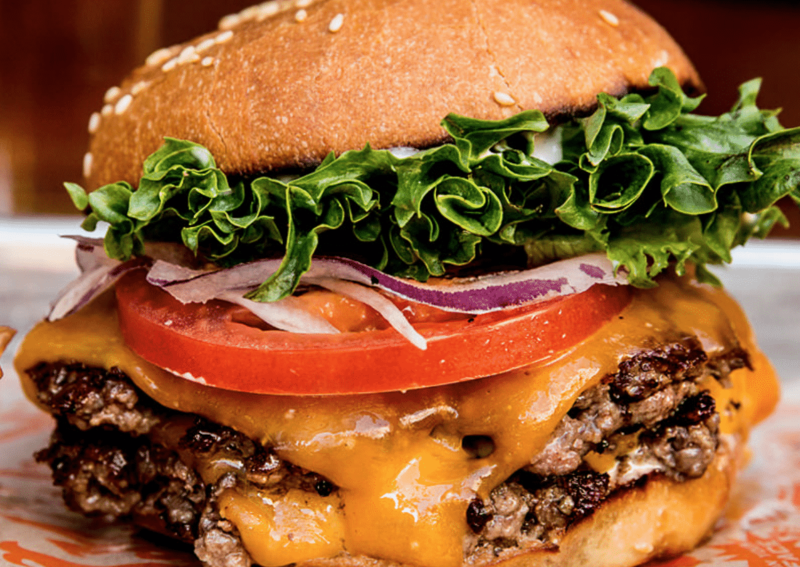 Ignore everything else on the menu and make sure you get that juicy burger. Probably the most famous burger chain in the state and something that people come from all over the world to try out. Dotted all over California, the rest of the country can only dream of having such a great chain on their doorstep. Norman Rose Tavern is a real proper gastro pub located in an old bank building, which gives the whole place a warm and wholesome atmosphere. 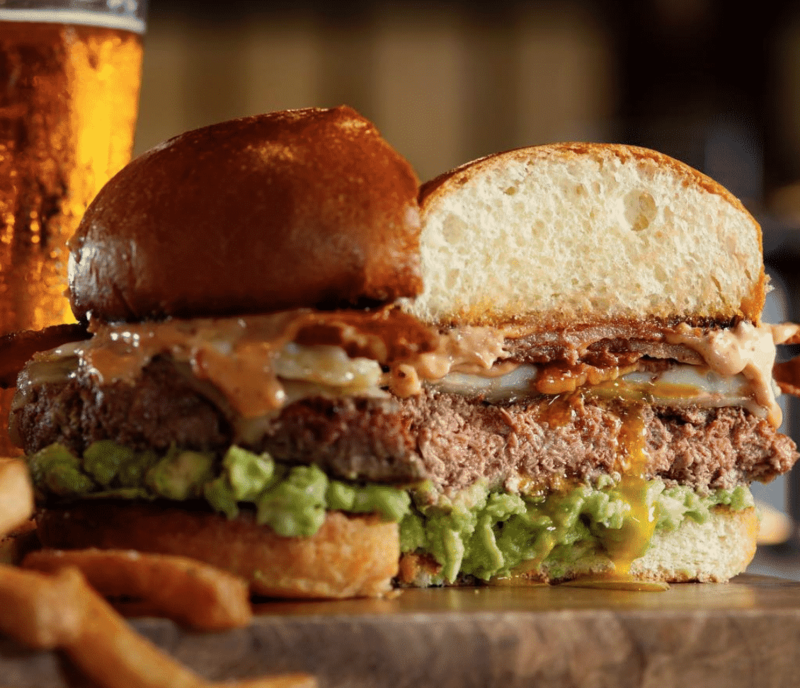 Pair their superb burger up with their large selection of craft beers and you have a mouth watering meal. They have 60 years of business experience making burgers and it shows in every single mouthful. Not only have they survived for so long but they are also still remarkably consistent on a day to day basis. It shows that perfection stands the test of time. 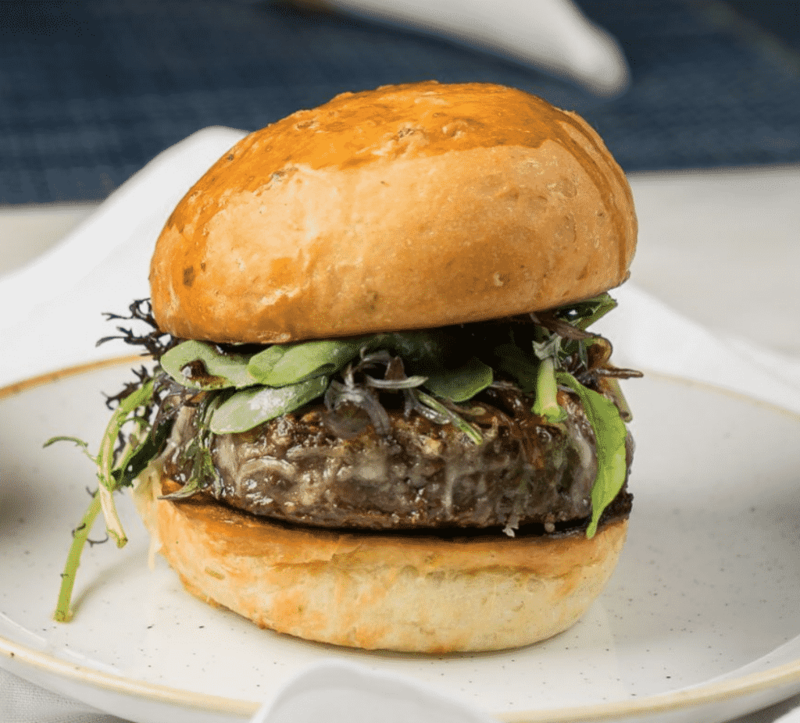 The Unami burger promises a totally new taste because as they say :”You’ve heard of sweet, salty, sour, and bitter… now say hello to umami, the savoury, bold and flavourful fifth taste”. It’s a unique and spellbinding foodie experience. They focus on fried chicken as their speciality but hidden in there is one of the greatest burgers in the state. 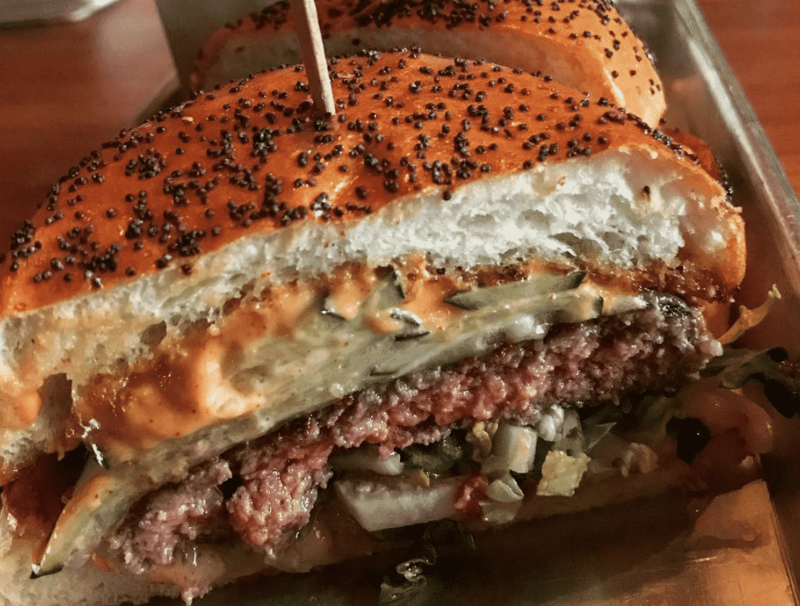 It features thick cut pickles, grass fed beef and fried chicken all sitting inside a perfect brioche bun. Pure drool. 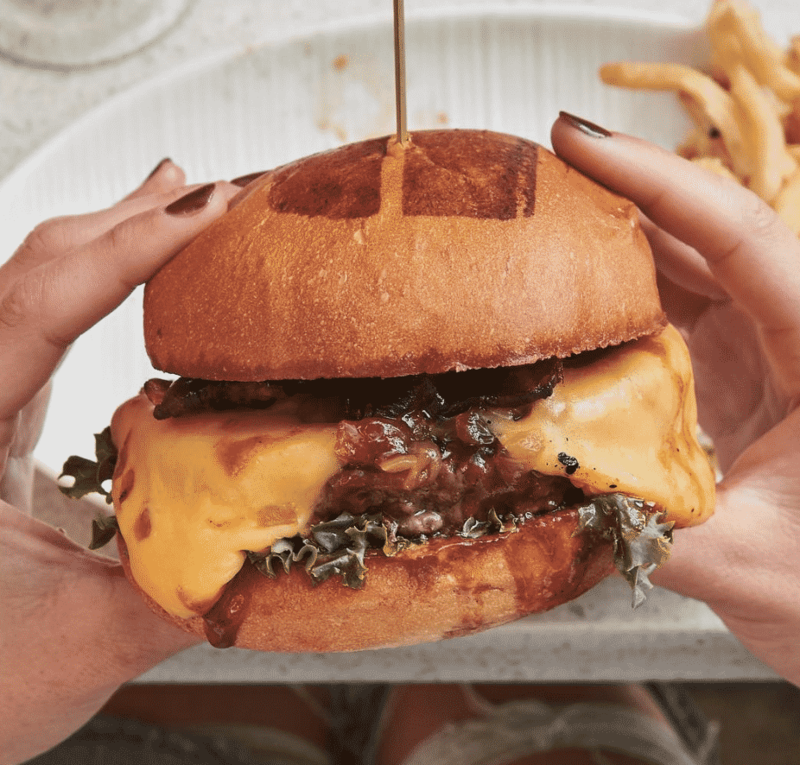 This neighbourhood American-style bistro by Chef Adam Rosenblum & Tom Patella has a darn good cheeseburger, which they make with their own special sauce that brings it all together. It’s won plenty of awards and it’s really not hard to see why once you take that first bite. Just a couple of blocks back from the beach, this quaint little restaurant with a beautiful terrace does one of the best brunches in town. Their burger though, is the real show stopper and something that people drive across the city for. Magical. 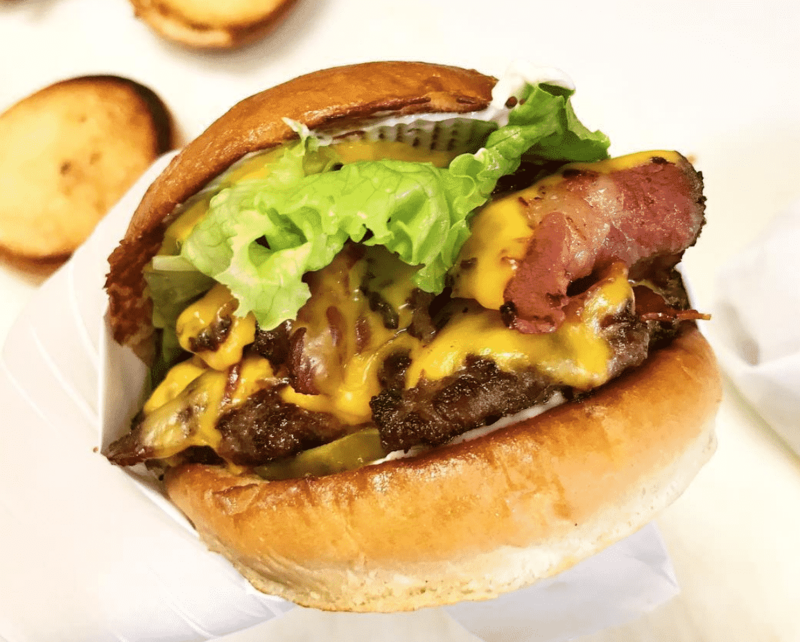 TK Burgers have been serving up fresh charbroiled burgers in Southern California since the Eighties and that 30 years of practice shows in every mouthwatering burger they produce. If you’re absolutely starving try taking on the triple decker. 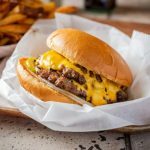 A small chain who put a big focus on sourcing the best ingredients for a fair price (they say that a burger shouldn’t cost $3 if the ingredients are in any way quality!) 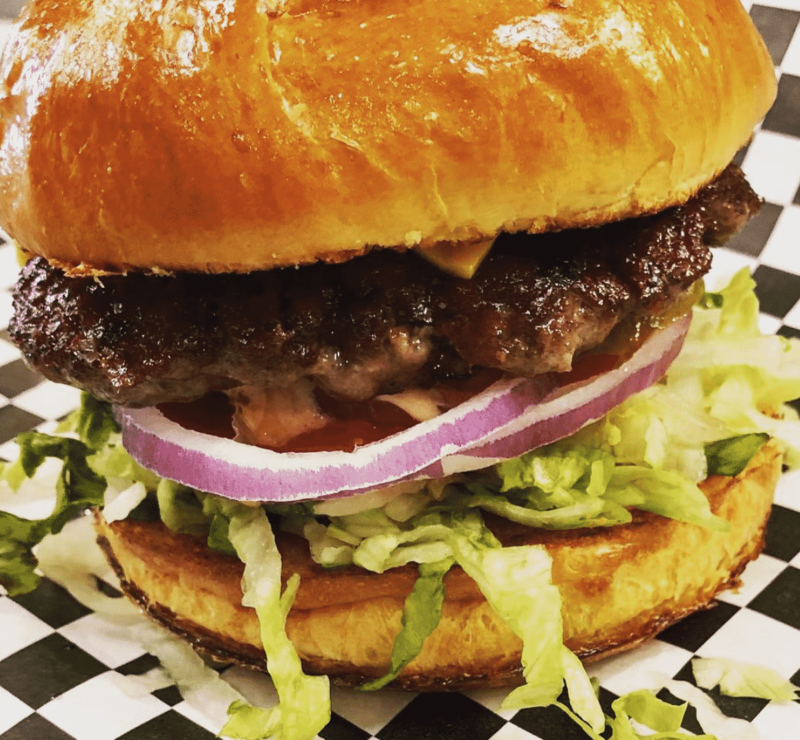 They make their burgers with all natural beef, ground fresh daily, locally sourced non-GMO veggies, and artisan buns baked fresh daily. All the small touches like the hand painted signage make this feel like the most wonderful local treat you could wish for. 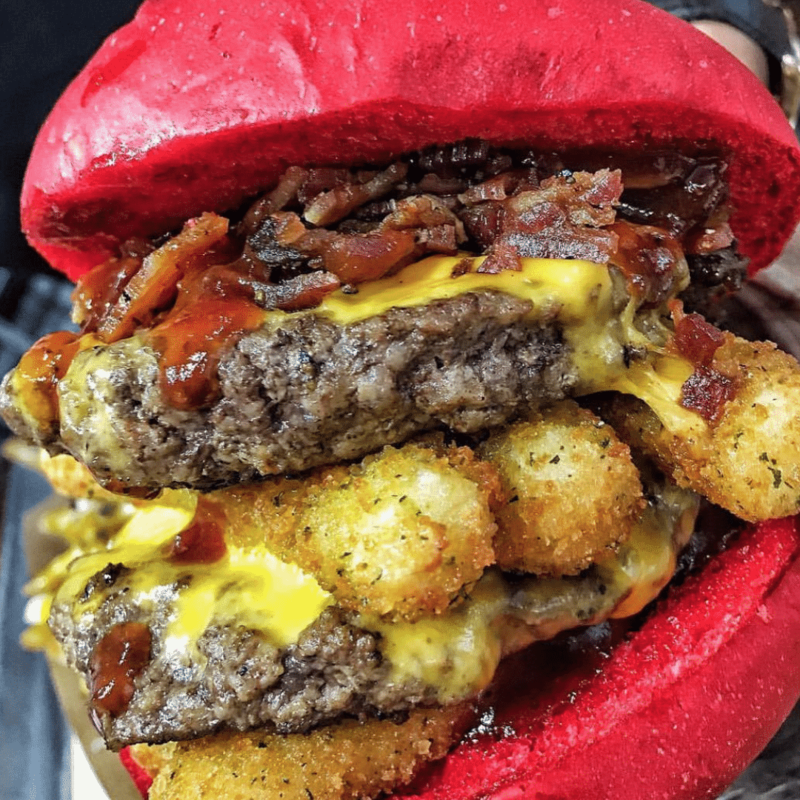 Founded in 2011 by brothers George and Charbel Ghaby, this is a fun, new twist on the classic American burger stand. They have over 30 toppings so you can go wild with your own creation or keep it classic with tasty pre-designed menu options. A stripped-back burger joint that feels like you are taking a step back in time, in a good way. They don’t need all the fancy trappings that some places do and instead just focus on a brilliant burger and top quality friendly service. 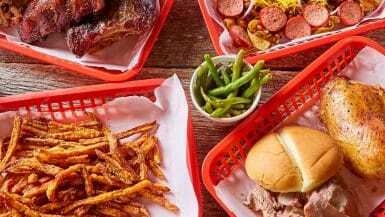 They focus on humanely raised smoked meat, grass fed burgers and classic sides. 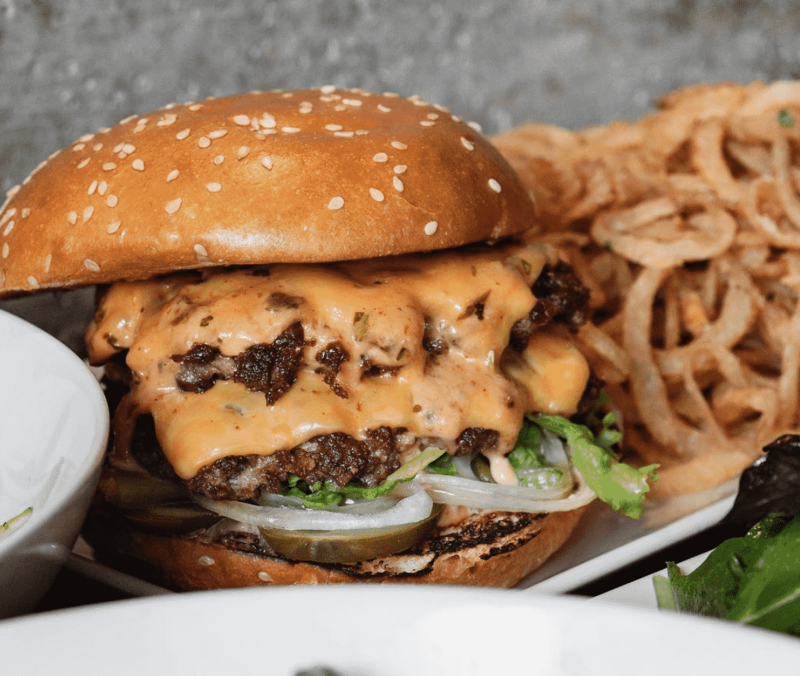 The atmosphere is casual, and the staff friendly, making it the sort of place you’ll linger for a couple of drinks after the feast that is their burger. Their story began way back in 1948 when Al Cassell opened Cassell’s Hamburgers at a simple stand. 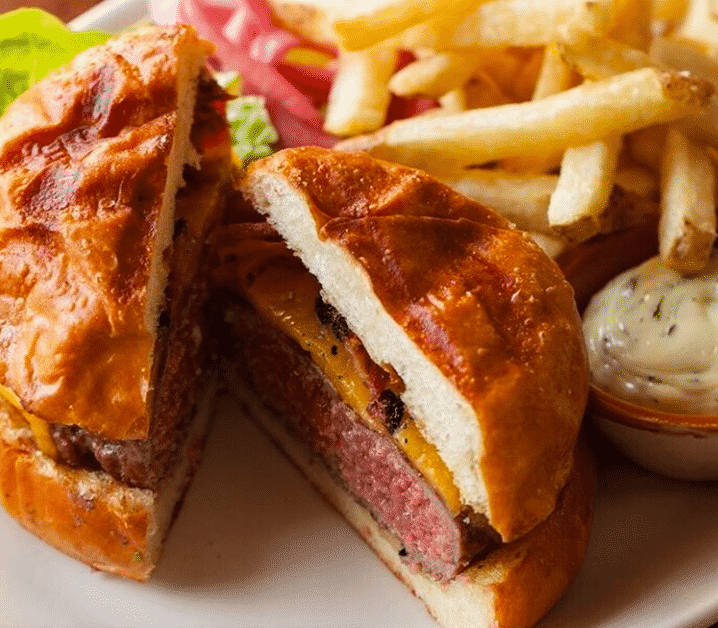 Cassell’s Hamburgers now resides in the historic Hotel Normandie in Los Angeles. They’ve added to the original hamburger stand with classic milkshakes and malts and a 50s breakfast menu. Simply delicious. 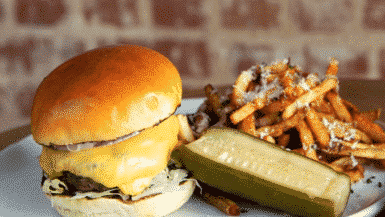 Draughtsman is a craft beer bar that also places a huge focus on BBQ, Burgers and Bourbon. Three B’s that most people would be happy to devour all day. 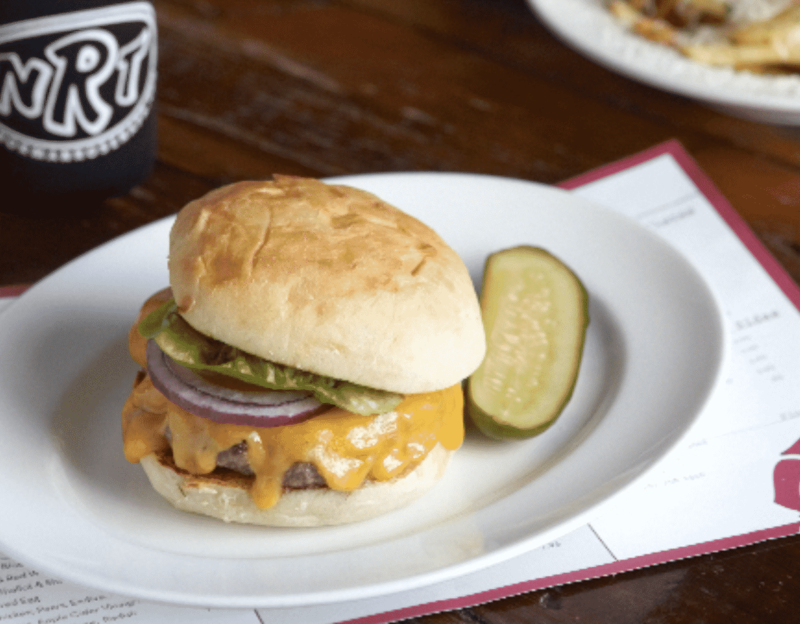 Let their expert staff pair a beer with your burger and sink into a foodie Nirvana. 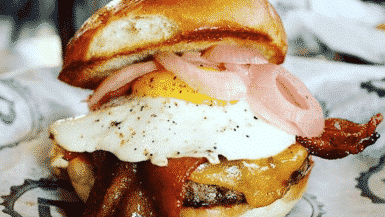 You’ll find world class craft burgers that are amazingly inventive and always seriously Instagrammable. 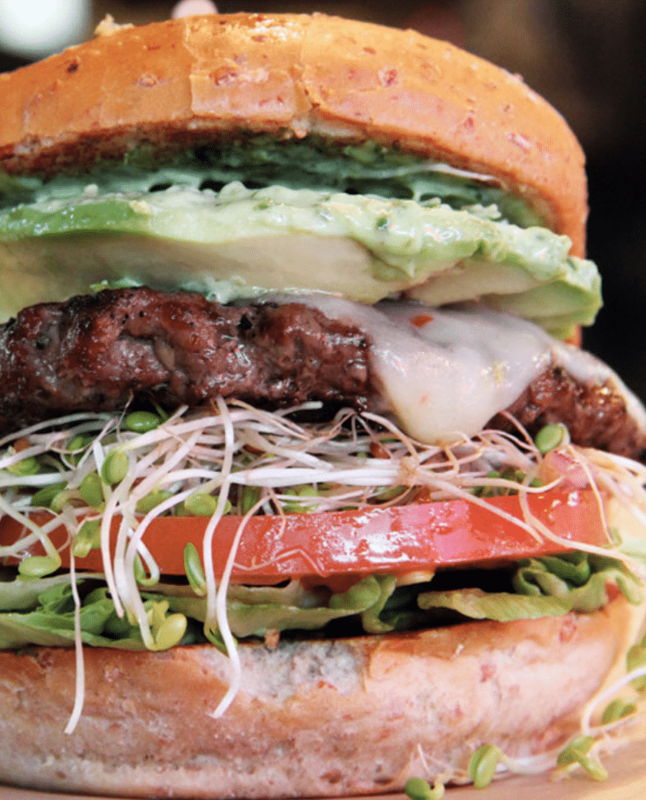 They also serve up a fully plant based burger which tastes every bit as good as the real thing. 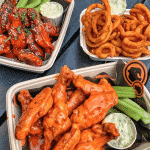 Stacked have several locations around the state where they also offer mac and cheese, pizza and other seriously good “cheat meals”. You’d be foolish to ignore their seriously stacked burgers though. One for people who like lots of fillings. Belcampo Meat Co. serves food that is sourced from their organic farm. Not only is the produce world class but the chefs who handle it do so with aplomb, with the burger being the classic example. Something so simple executed to an extraordinary level. 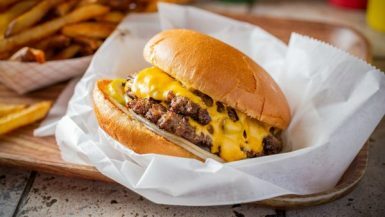 A corner neighbourhood restaurant that offers up seriously good burgers that are ordered right at the counter. 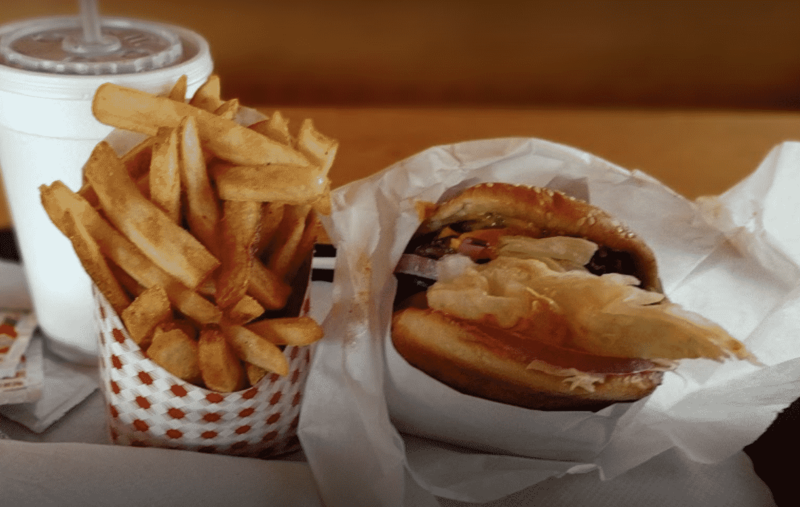 Paired with their incredible home fries, you have a serious treat on your hands eating here. 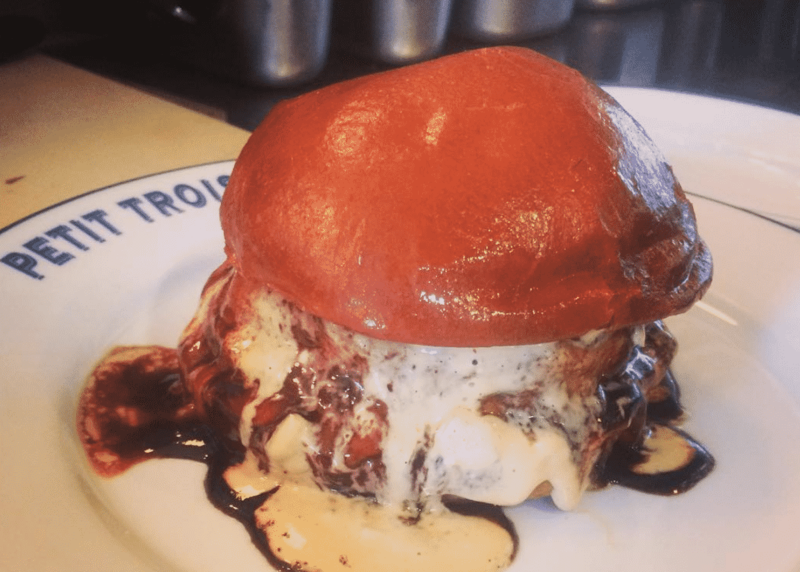 A modern day classic Italian restaurant on Melrose Avenue, that serves up an incredible black truffle burger. It seems simple when it arrives at the table, but the complex flavours and perfect portion size make this a giant in the burger world. Pie ‘n Burger first opened in the fall of 1963 on California Blvd and they continue serving perfect burgers in the same location today. 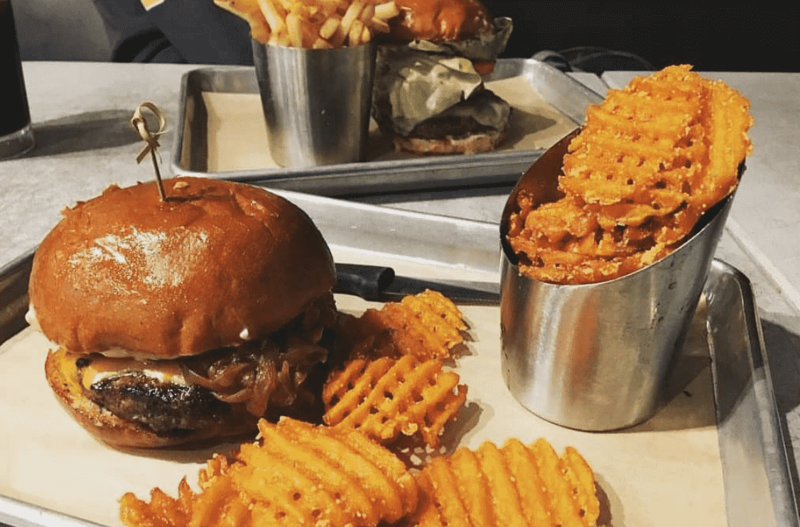 They also have a food truck and as their name suggests, you’ll want to try the homemade pie as well as their epic burgers. 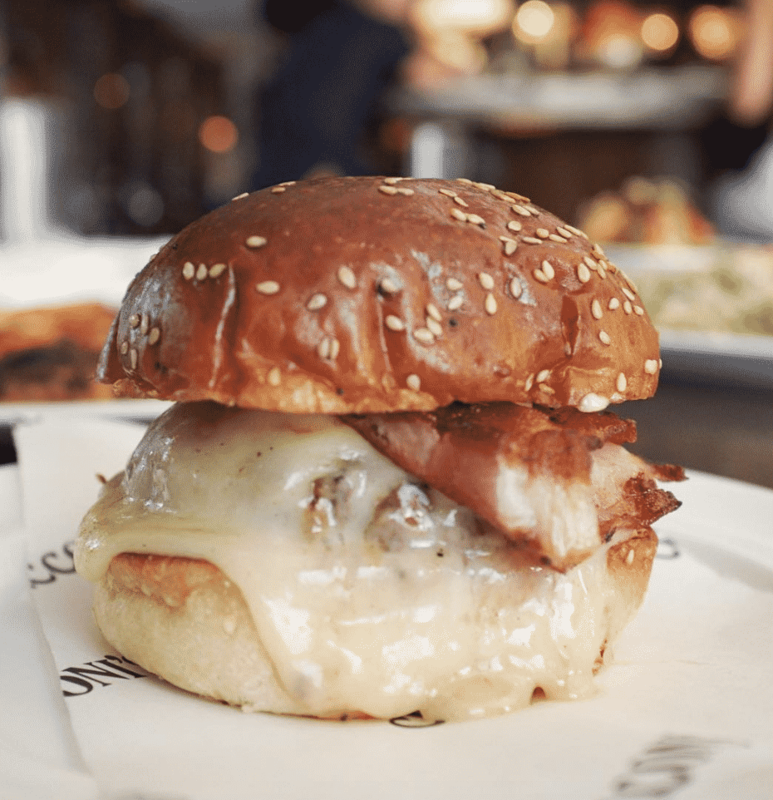 Born out of a food truck, Broderick Roadhouse now have five locations where they serve their 1/2 lb burgers that are all an absolute feast. They have a super inventive selection of toppings and you will never leave here hungry. Marlowe is a neighbourhood bistro owned and operated by husband and wife team Anna Weinberg & James Nicholas since 2010. Their fried chicken burger is a joy but the beef is where its really at. Simple but perfect. This is proper classical French brasserie-style cooking, although Petit Trois also does some really great cocktails. 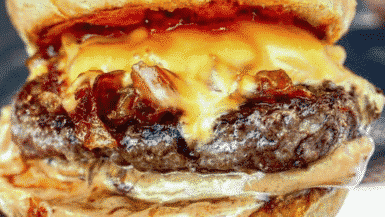 Their burger though, is the stuff of dreams and something you just need to pick up in one go. Seriously tasty. 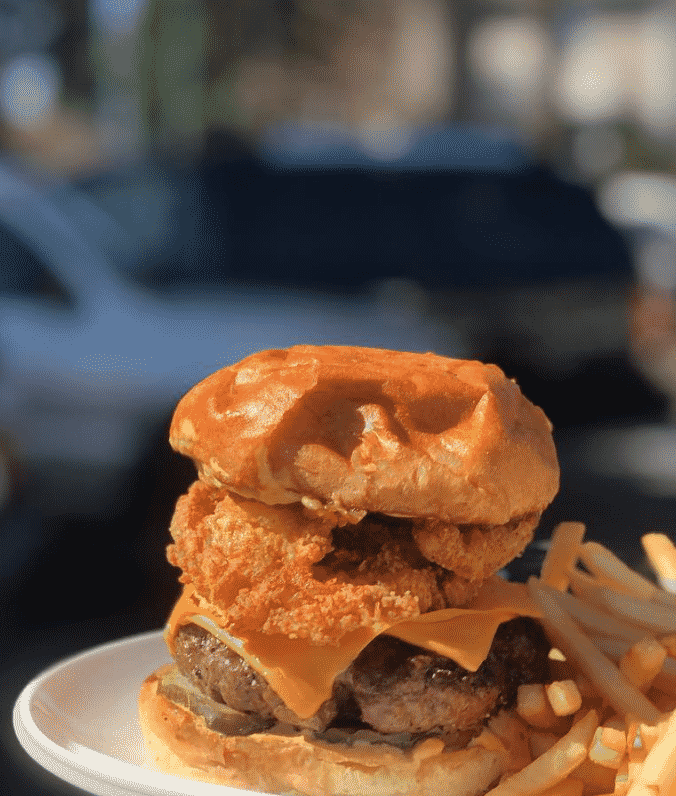 A few years ago the owners of Main Street Burgers travelled the country tasting the best burgers, so they could create something special for the local community in Los Gatos. That means they use only all natural beef, ground fresh daily served on custom fresh baked buns with local produce. 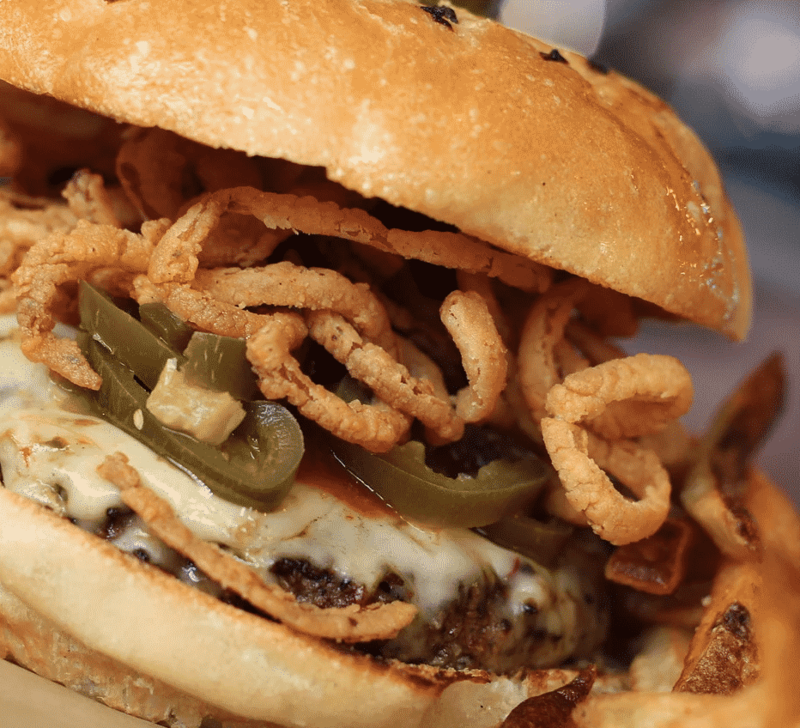 They’ve done what they set out to do: a simply great burger. This huge room is a popular meeting space that is always buzzing. 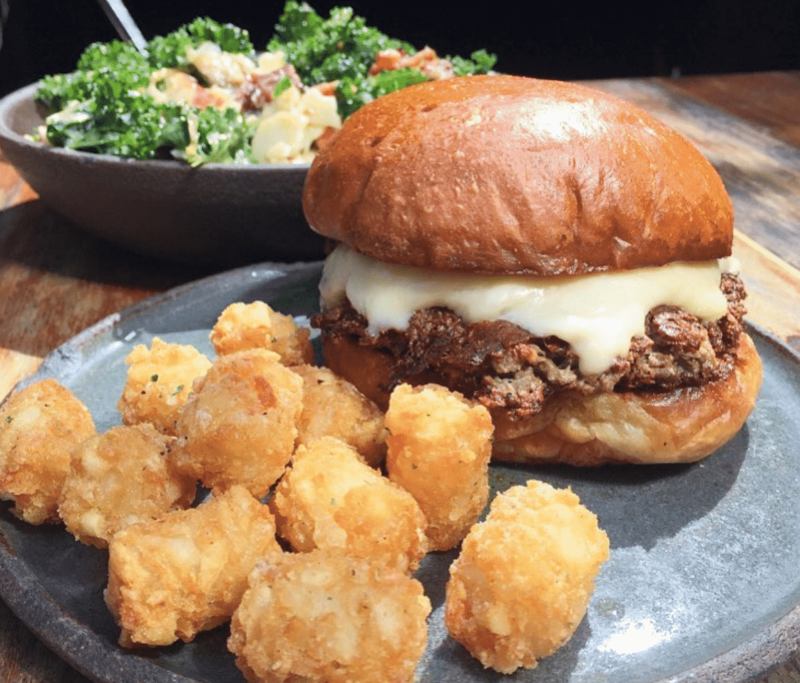 Nopa places a huge focus on sourcing their meat and all other ingredients ethically and that shines through in the taste of their wonderful juicy burger. 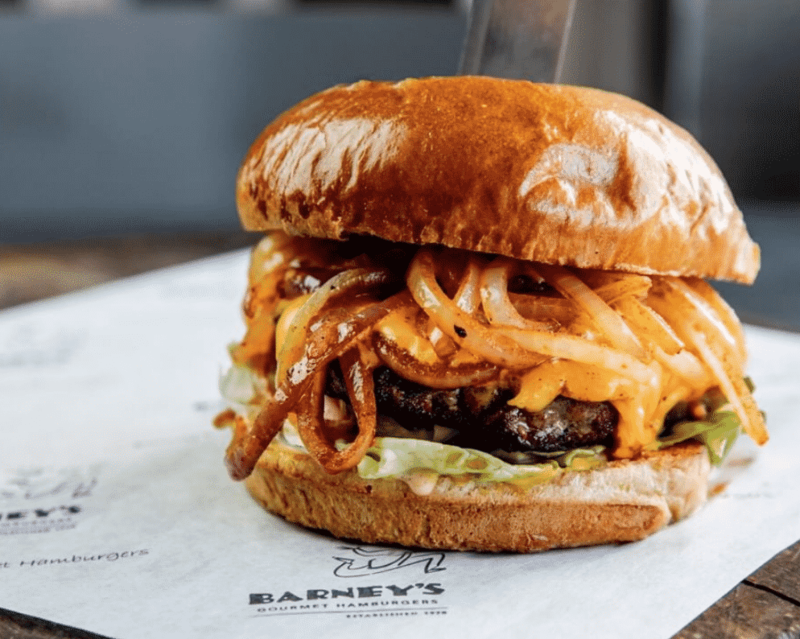 Barney’s serves award winning burgers at their seven locations across San Francisco, Berkeley, Oakland, Santa Monica & Brentwood. Some super original combinations or you can choose to make your own from scratch. It’s the perfect size to fit into one hand and devour whole. A hidden gem in the city that once you discover you’ll instantly become a regular. They make great cocktails and tasty local seasonal food, but it’s their burger that really ticks all the boxes. 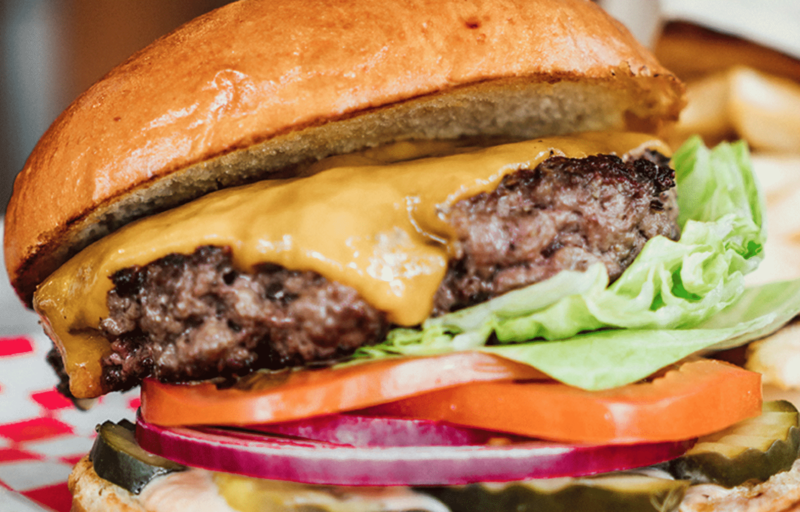 No fuss, just a simple perfect burger as it should be every single time. 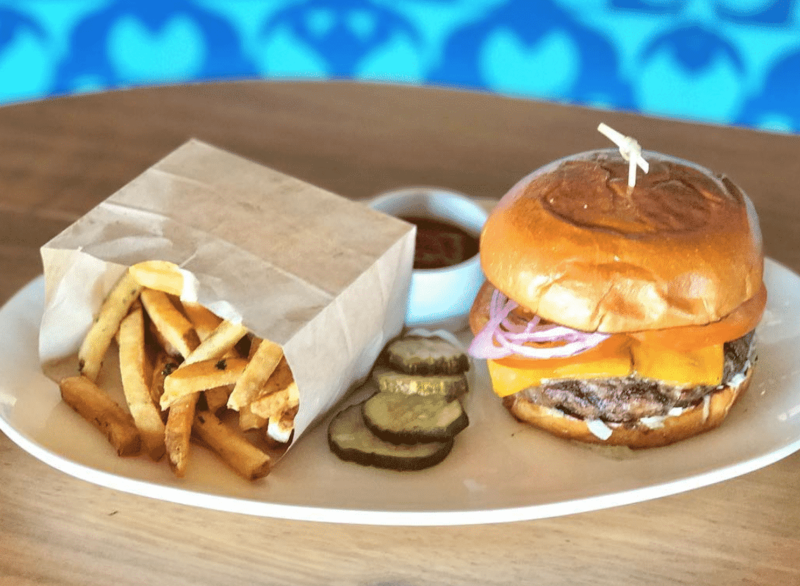 Located right along the boardwalk with panoramic views of one of the nicest parts of California, this is a burger that is exceptional on its own but added to even more by a world class setting. You’ll never want to leave. 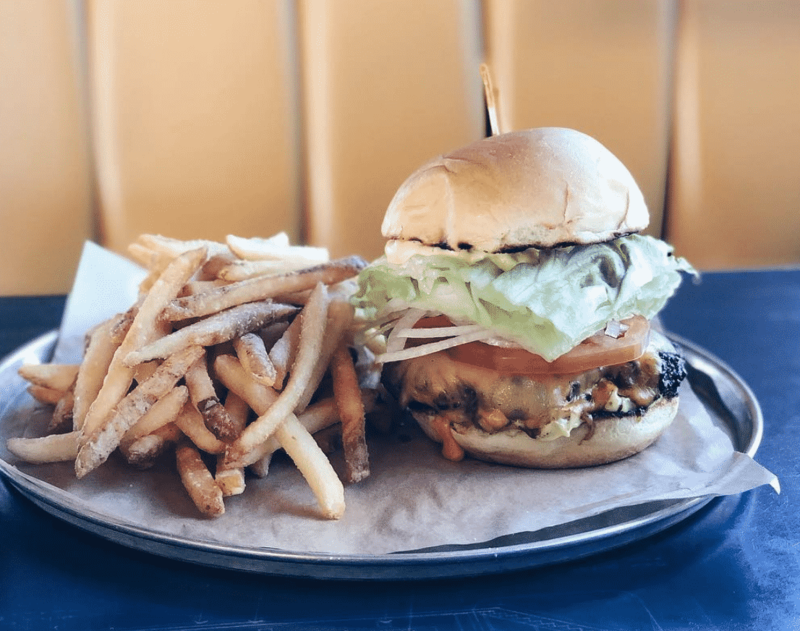 Bulldog Burger Bistro does some of the very best burgers in the area and their huge loyal fan base will attest to that. They also do beers, wraps and salads, but if you are either eating in or getting it delivered just don’t even think about looking past the burger! 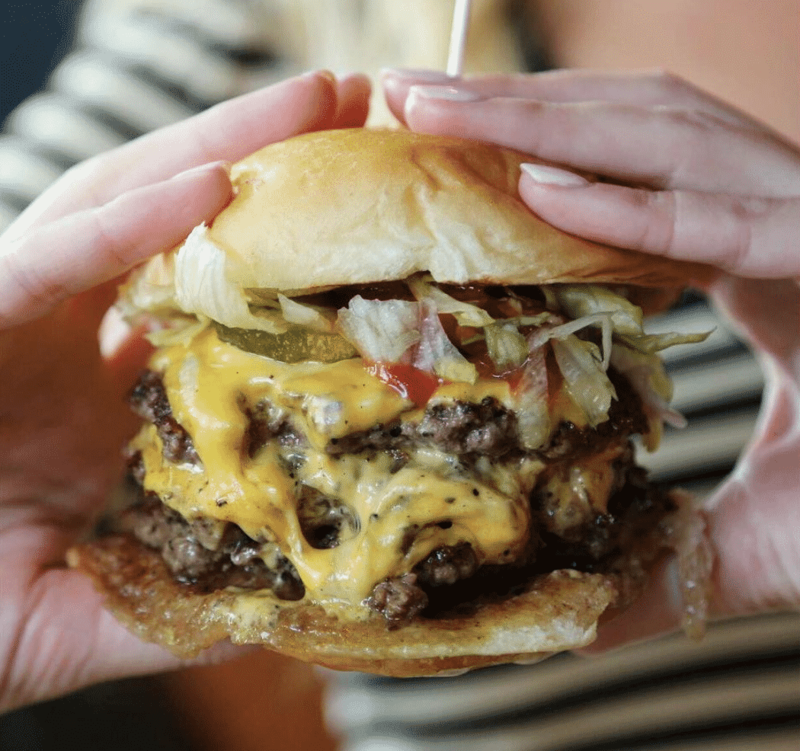 Everything is locally sourced on their menu and when a joint puts this much emphasis on both great burgers and great beer you know you are in for aa treat. One of the great meals in the city. A collaboration between a talented husband & wife team, you’ll find them in one of the most eclectic parts of this diverse city. 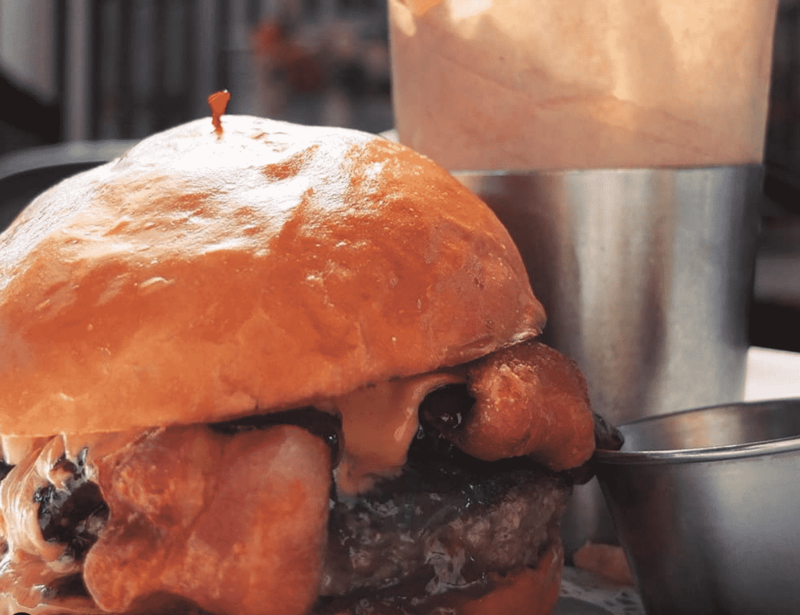 Their food reflects their surroundings with a brilliant menu but the burger stands at another level. Simply superb. 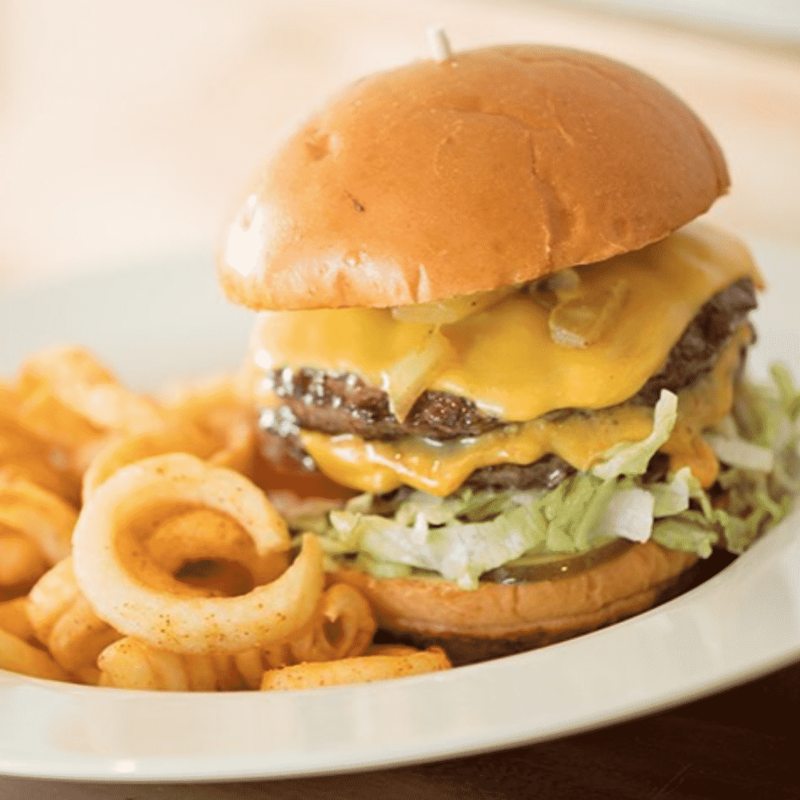 HiHo Cheeseburger states that some things in life should never change (the cheeseburger) but that they can be improved. 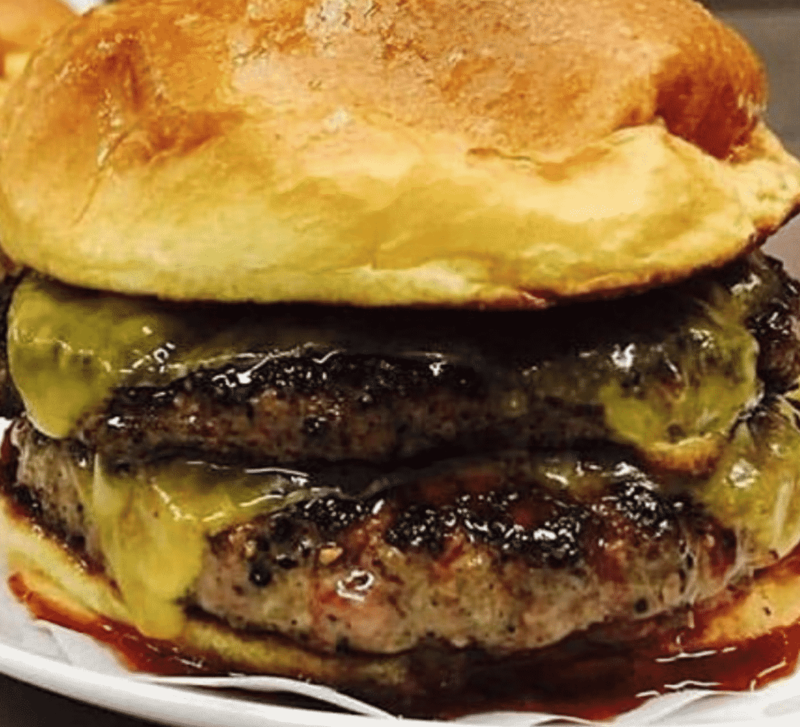 That improvement comes from the Wagyu beef they use which creates a burger that people come from far and wide to try. 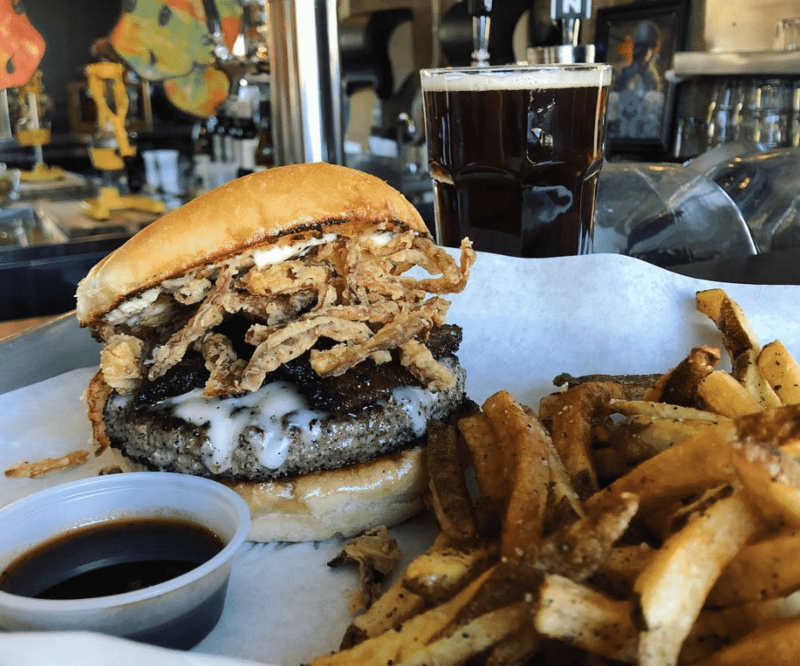 Burgers and Brew was created by two brothers over a decade ago, who wanted craft brew and a solid burger made with 100% Niman Ranch meats, and the freshest ingredients. The portions are huge and their beer selection impressive. Ticks all the boxes. 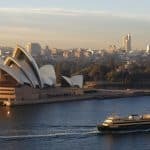 The perfect place to come and grab brunch of a burger when out visiting this wonderful part of the world. 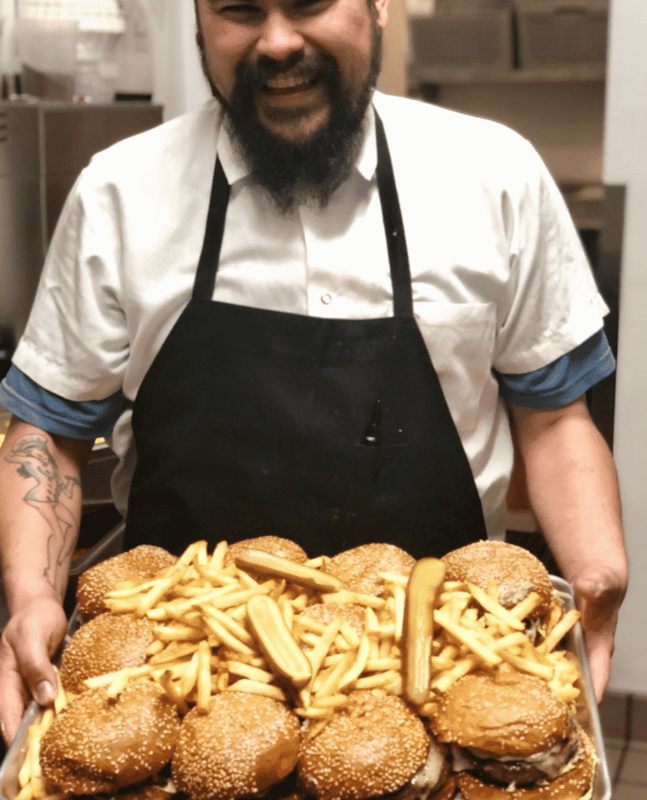 Their staff make the place what it is and the burger is uncomplicated and simply close to perfection. 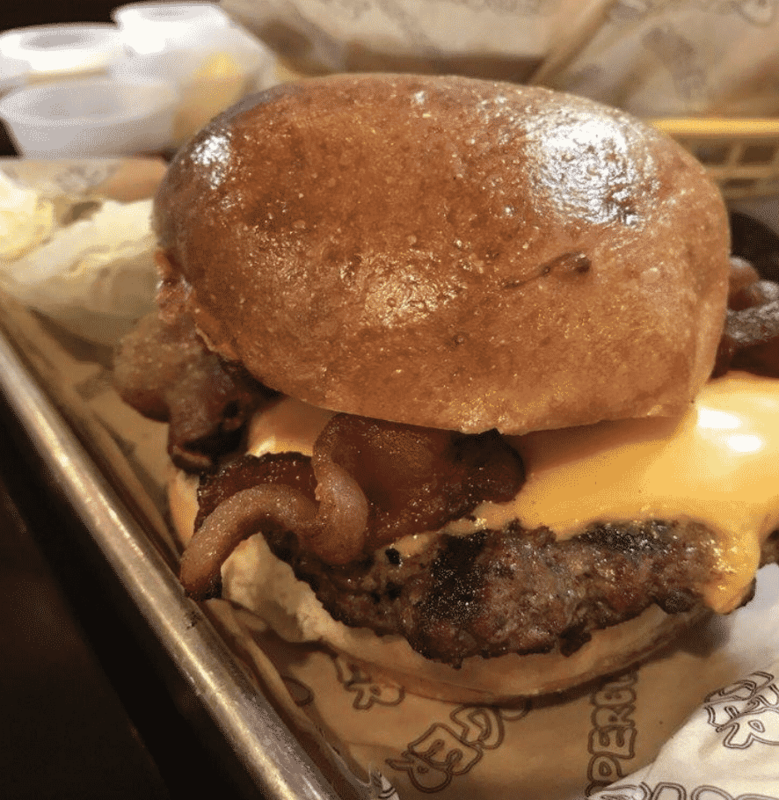 Slater’s has several locations around the country and it’s not hard to see how a place that focused on “burgers, bacon and beer” would be so wildly popular. 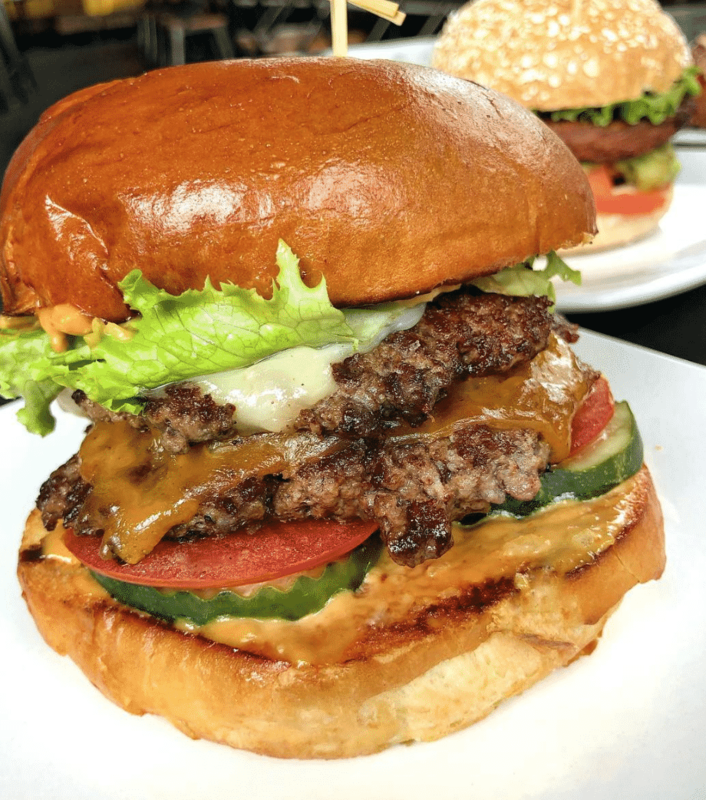 Their burgers are absolute beasts so make sure to come with an appetite. As they say themselves, their offering is “often copied but never replicated”. The perfect place to grab some casual and super tasty food (don’t miss the shakes either!) after a day of activity on the lake. 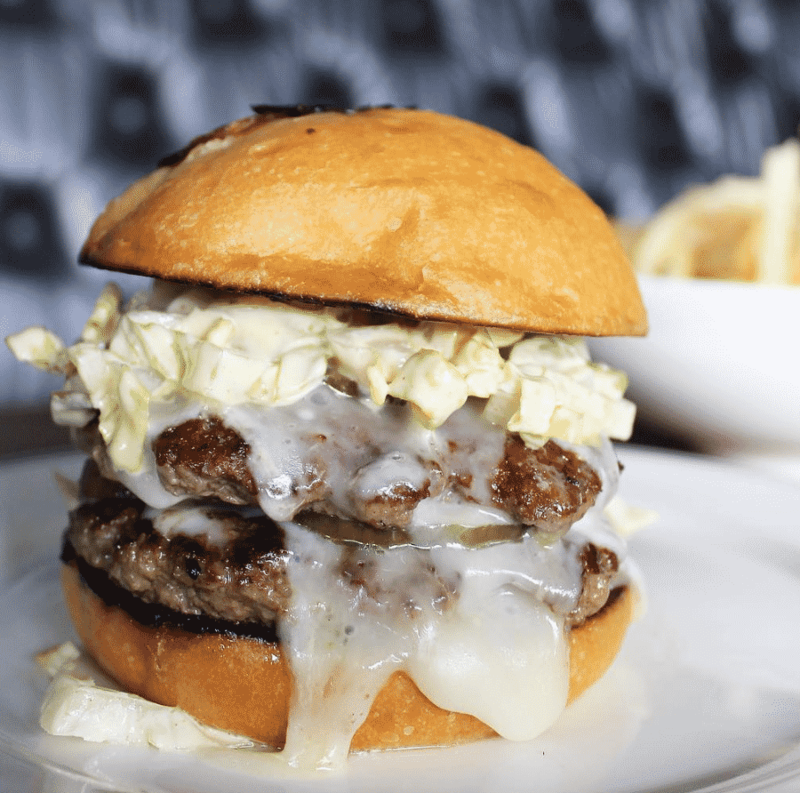 ABV does a burger that has a huge buzz around the city and for all the right reasons. It’s all about how they grind the meat themselves and their super simple classical toppings that make this a home run every single time. 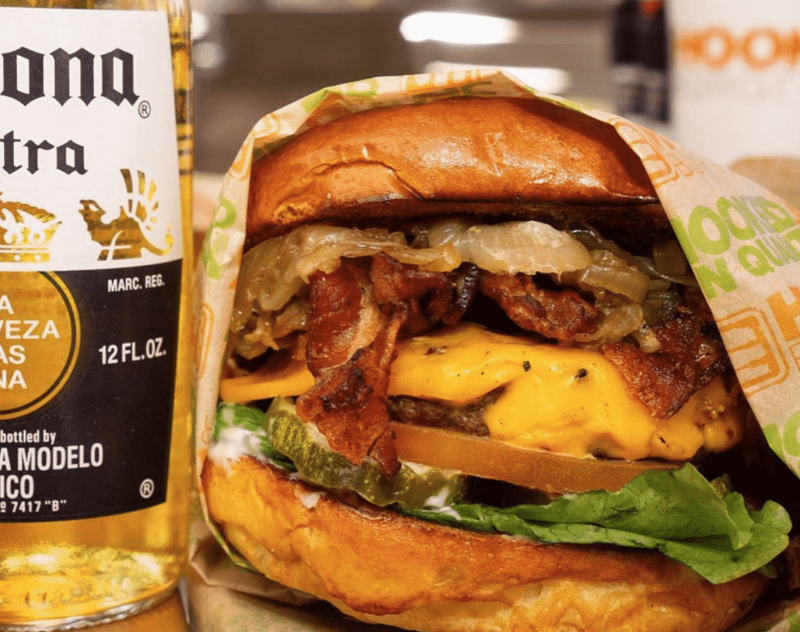 Hook Burger is a small but brilliant chain that have locations in in Burbank, Oxnard, Pasadena, Simi Valley, Westlake, Woodland Hills and Valencia. 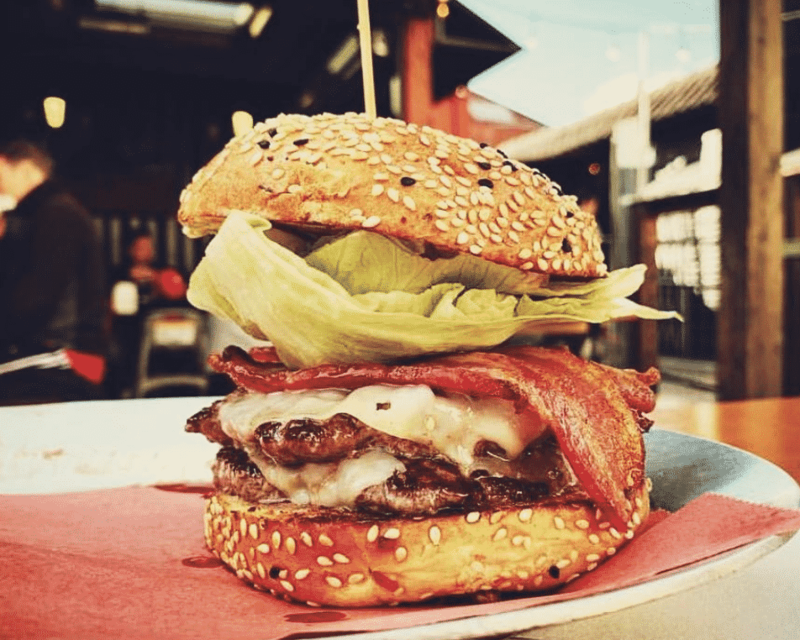 Their burgers are quite simply perfection, with minimal fuss and a maximum focus on their quality ingredients. 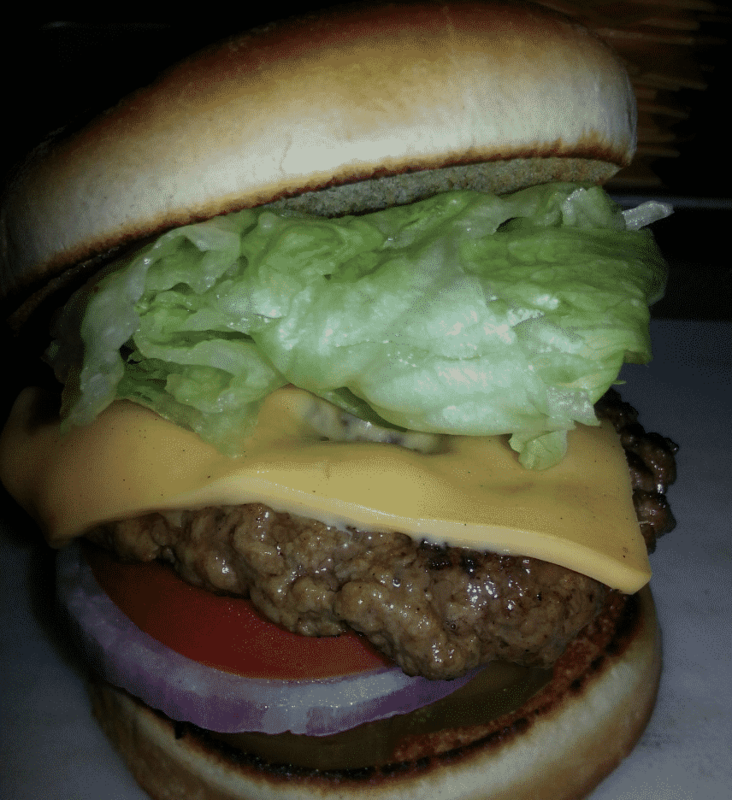 It’s all about this double cheeseburger which on Monday nights is on special for just $10. 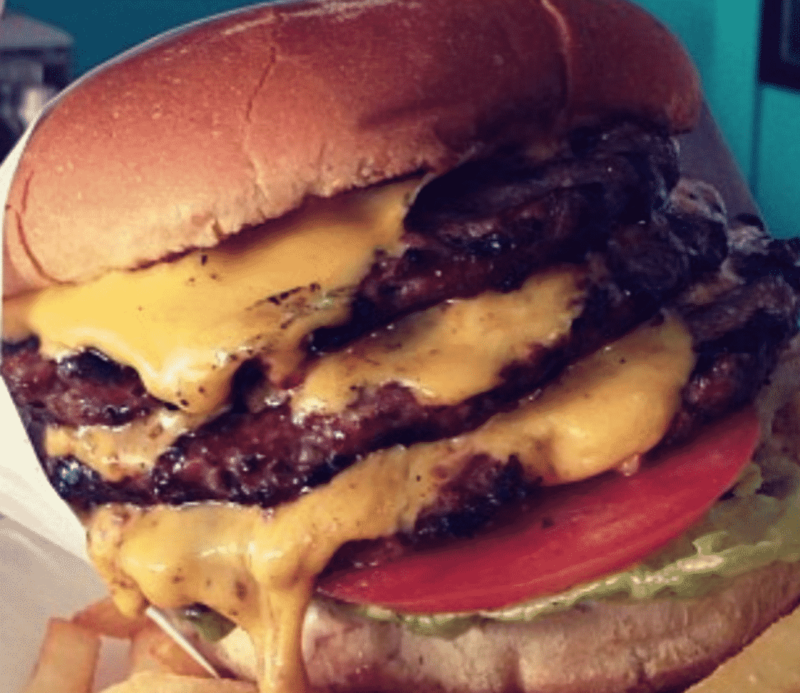 What better way is there to start the week than tackling this bad boy? Pie N Burger it should be number one or number two. Burgers that require tons of toppings shouldn’t even qualify in this category. That’s more of a sandwich with a burger for the meat. 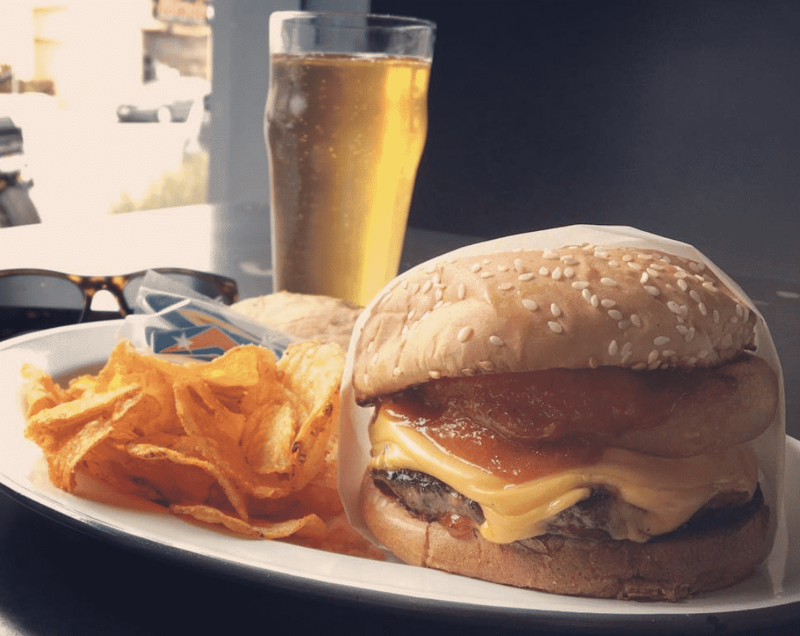 Love Starlite in San Diego, but I think better burgers can be found at Craft & Commerce and Bankers Hill Bar & Restaurant. Other worthy contenders are Prepkitchen and Neighborhood. SO happy Hodad’s wasn’t on the list. It’s a San Diego tradition, but it’s not really very good.